Compiled through "The Neutronium Alchemist"
I no longer have the time to support this site. If anyone out there wishes to take what I have begun and complete it please email me. Thanks for visiting. Of Kamma, Neurophysin Proteins, and Firedrakes: : A Review of Hamilton’s "A Second Chance at Eden"
The Site Plan: We're just getting started here. Find out what's in the works down the road. Peter F. Hamilton began this fascinating and unique science fiction epic in 1996 with the release of the critically acclaimed best-seller "The Reality Dysfunction." Set in the year 2600, the human race is divided into two lineages: the Adamists, with their heavy reliance upon nanotechnology, and the Edenists, shunned by Adamists because of their discovery and use of the "affinity" gene. Within this universe, large corporations are developing entire planets for material gains, small planetary systems are at war, alien races flourish peaceably alongside humans, and research is conducted on a civilization that was mysteriously wiped out over two thousand years ago. But something has gone wrong. A rift has strangely occurred in spacetime and something terrifying has been unleashed that lies beyond human comprehension. In 1997, the saga continued with "The Neutronium Alchemist," where all-out war is waged for control of the galaxy. 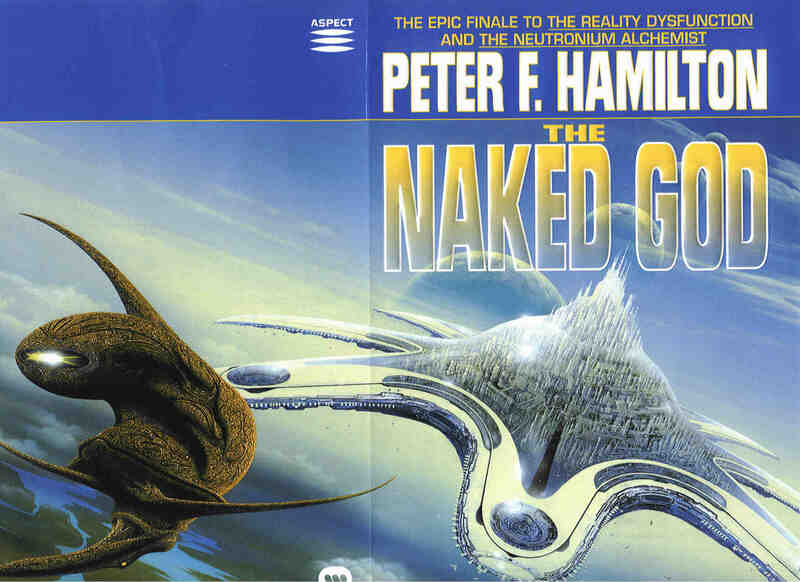 The trilogy concludes with "The Naked God." Share your insights, opinions, and questions with other fans of the Trilogy! A brief description of the two human lineages and the alien races in the Trilogy. Some cool stuff from the far future! A basic guide to the many worlds of Hamilton's Universe. The primary personalities inhabiting the many worlds of the Trilogy. Some of the supporting cast. Spaceships and other assorted items of interest found in the Trilogy. The "Official" Peter F. Hamilton Page: A website designed with the best wishes of Hamilton himself. Peter F. Hamilton Information Pages: Site filled with assorted Hamilton goodies. 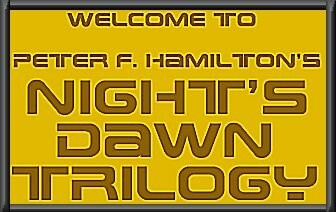 Peter F. Hamilton Page: Find out more about the work of this exceptional science fiction author. Another Hamilton Page: More information about the author. Science Fiction Art Homepage: A Website featuring the works of hundreds of sci fi artists including the work of JIM BURNS, the artist associated with Hamilton's Night's Dawn Trilogy. Time-Warner's Science Fiction Books: The U.S. publisher of the Night's Dawn Trilogy. Visit this site for other great science fiction works and an entire range of interesting and entertaining literature. PLEASE NOTE: All full-color artwork on this site is the copyrighted property of Jim Burns. Black & white renderings are compliments of various contributors including Phillip Thorne and Darrell Curtis. This site is in no way affiliated with Mr. Hamilton or Mr. Burns and is not endorsed by them. The book covers featured on this page are the product of Aspect, a registered trademark of Warner Books, Inc. All interpretations and expressions herein are the responsibility of the webmaster and other approved contributors and are in no way meant to be presented as representative of those of Mr. Hamilton. The Discussion Board does not reflect the ideas or opinions of anyone other than the person(s) responsible for posting messages there. Any message posted is subject to the review of the webmaster and may be removed at his discretion without notification.